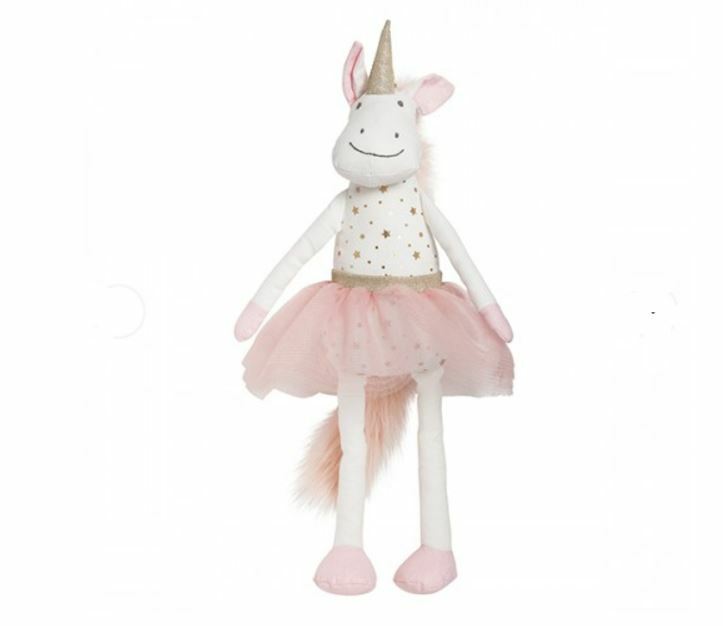 A simply gorgeous Lily & George soft knitted Unicorn, in cream and pink with gold stars and a tutu. Winning the hearts of all little girls who visit Code Bloom. This toy is perfect as an addition to welcome a new baby girl.